In the wake of the Pearl Harbor attack, on February 19, 1942, President Roosevelt signed Executive Order 9066 (EO9066), giving the War Department the power to declare any part of the country a restricted military zone and the power to exclude "any or all persons" from such an area. In March, "Civilian Exclusion Orders" were posted for all those of Japanese ancestry in Washington, Oregon, California and southern Arizona. Nearly 6,000 Japanese Americans served with the Military Intelligence Service (MIS), fighting with their knowledge of the Japanese language and people. They were responsible for translating and interpreting documents, interrogating prisoners and communicating with civilians. This service extended beyond WWII into the Cold War years, continuing through the Korean War and into Vietnam. During WWII, individuals of Japanese ancestry in the United States, predominantly American citizens, had their lives turned upside down. They were seen by many as the enemy, their loyalty to the nation was questioned and their basic rights were stripped as nearly 120,000 men, women and even children were confined in camps for years, without benefit of trial. Despite this treatment, 33,000 Japanese Americans served their country in Europe and the Pacific, earning numerous honors. The effects of these wartime experiences serve as a lasting reminder to the nation and the entire world of the often-fragile nature of a country’s principles in the face of war. 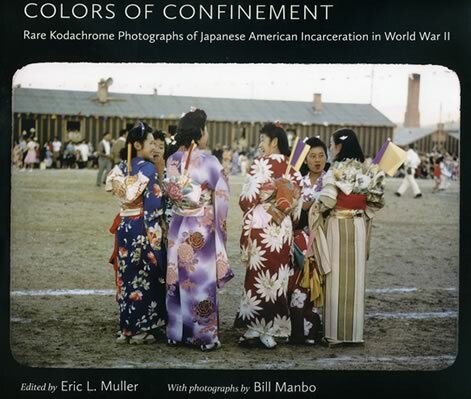 On display March 15 - October 12, 2014 at The National WWII Museum. View the schedule of events and plan your visit.